HOUSTON : As much as 75 per cent of our genome consists of junk DNA, according to a study which contradicts that majority of our genes are functional. Researchers from the the University of Houston in the US found that the functional portion of the human genome probably falls between 10 per cent and 15 per cent, with an upper limit of 25 per cent. The rest is junk DNA, which are useless but harmless. That is in stark contrast to previous research which states that as much as 80 percent of the genome is functional. Researchers took a simple approach to determine how much of the genome is functional, using the deleterious mutation rate – that is, the rate at which harmful mutations occur – and the replacement fertility rate. Both genome size and the rate of deleterious mutations in functional parts of the genome have previously been determined, and historical data documents human population levels. With that information, researchers developed a model to calculate the decrease in reproductive success induced by harmful mutations, known as the “mutational load,” in relation to the portion of the genome that is functional. The functional portion of the genome is described as that which has a selected-effect function, that is, a function that arose through and is maintained by natural selection. Protein-coding genes, RNA-specifying genes and DNA receptors are examples of selected-effect functions. In his model, only functional portions of the genome can be damaged by deleterious mutations; mutations in nonfunctional portions are neutral since functionless parts can be neither damaged nor improved. Because of deleterious mutations, each couple in each generation must produce slightly more children than two to maintain a constant population size. Over the past 200,000 years, replacement-level fertility rates have ranged from 2.1 to 3.0 children per couple, he said, noting that global population remained remarkably stable until the beginning of the 19th century, when decreased mortality in newborns resulted in fertility rates exceeding replacement levels. If 80 per cent of the genome were functional, unrealistically high birth rates would be required to sustain the population even if the deleterious mutation rate were at the low end of estimates. “For 80 per cent of the human genome to be functional, each couple in the world would have to beget on average 15 children and all but two would have to die or fail to reproduce,” said Dan Graur from University of Houston. “If we use the upper bound for the deleterious mutation rate, then the number of children that each couple would have to have to maintain a constant population size would exceed the number of stars in the visible universe by ten orders of magnitude,” Graur added. 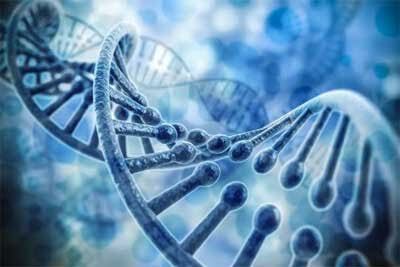 In 2012, the Encyclopedia of DNA Elements (ENCODE) announced that 80 per cent of the genome had a biochemical function. The study, published in the journal Genome Biology and Evolution, not only puts these claims to rest but hopefully will help to refocus the science of human genomics, Graur said.